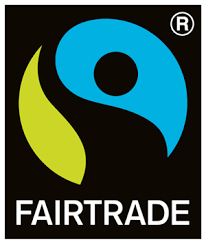 The Fairtrade Foundation’s former home was an outdated space that was too big for their team and didn’t showcase the work at the core of what they do – Fairtrade is about better prices, decent working conditions, local sustainability, and fair terms of trade for farmers and workers in the developing world. 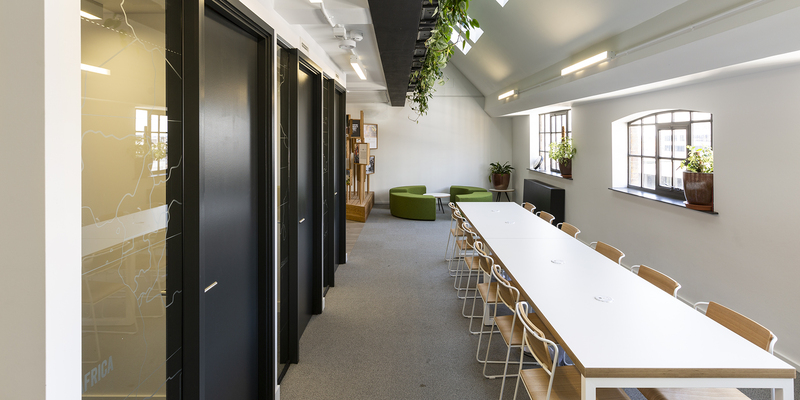 When their lease came to an end, Fairtrade took the opportunity to start afresh in a new space in East London and appointed ThirdWay to design and deliver the project. 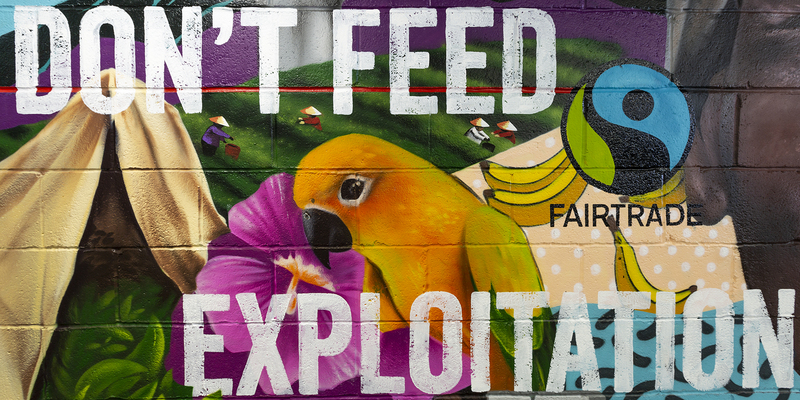 The brief was to inject life into the employee's surroundings, ensuring they are reminded of the reason Fairtrade exists, and to echo the charity’s voice and values through creative design. 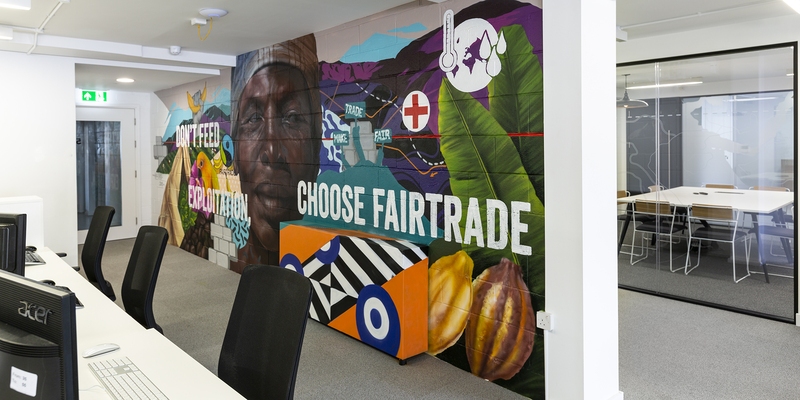 The front of house and meeting rooms now focus heavily on the voices of those in the Fairtrade producer network. This includes a space where the client can display various merchandising materials as necessary showcasing producers from around the world talking about their partnership with the Foundation. 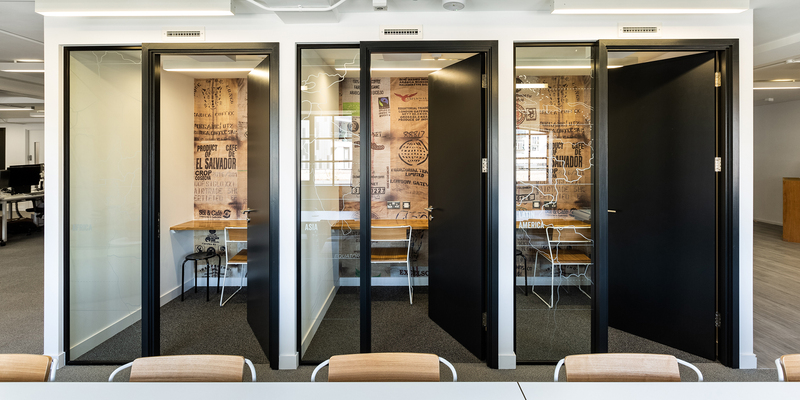 The upper and lower floors are designed to occupy both permanent and hot-desking space, ‘phone booth’ meeting rooms for quiet working or phone calls, a large breakout area and a kitchen. 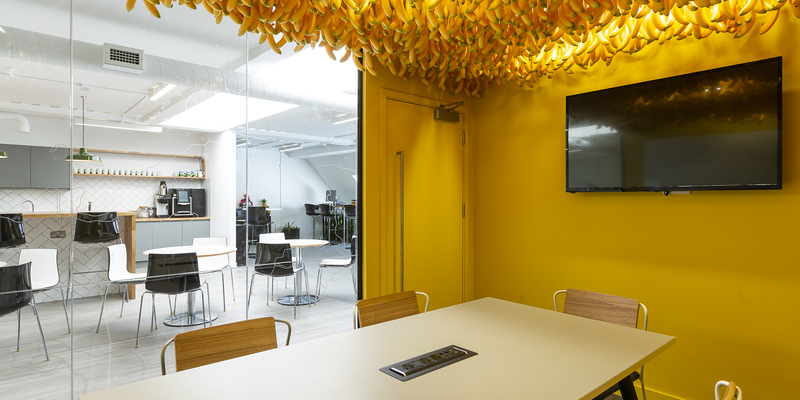 One of the most unique parts of the whole project is the bright yellow meeting room with its sensational hanging-banana ceiling - a novel acknowledgement of the work that Fairtrade does and a bold splash of colour to contrast with its calmer surroundings. 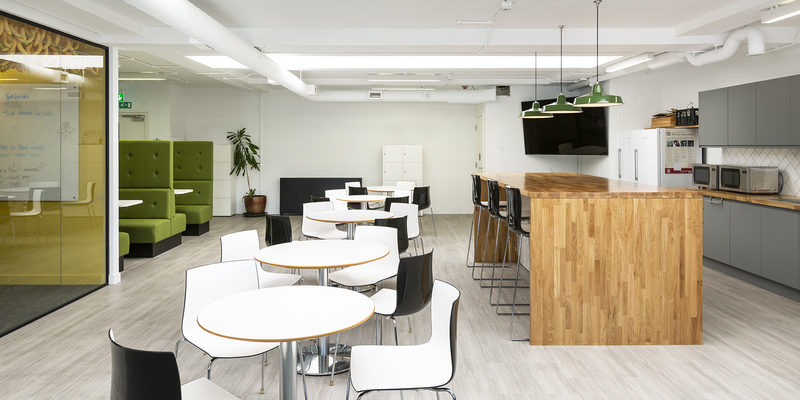 Both the staircase and the hanging plants were designed to connect the upper and lower floors - the biophilic design also promoting wellbeing amongst Fairtrade’s employees.